We kicked off the year in good fashion signing a few new projects. First, Diputació de Girona hired us to develop a mobile app of hiking trails for visually-impaired people. The project turned out to be really exciting, as we don't often come across this kind of opportunities, and we learnt a lot, by developing it with Ionic. You can check the iOS app and the Android app versions of the Vies Verdes project. The other projects we signed were two small projects based on the Decidim platform. Every year, we sign a few of these, to be implanted in local governments or institutions to manage their collaborative processes and digitise their decision-making processes. A couple of years ago, we worked in the Decidim.Barcelona project for the Barcelona City Council. In the previous link, you can learn about our role in the project. Besides the projects, in January 2018 we began implementing some changes to the company to optimise our internal organisation such as shifting towards an English-first approach at work, speed up our sales processes, sending more insightful reports to clients and we changed our RubyTapas Thursday to a broader MartianTapas, where we discuss all aspects of tech, not only Ruby. 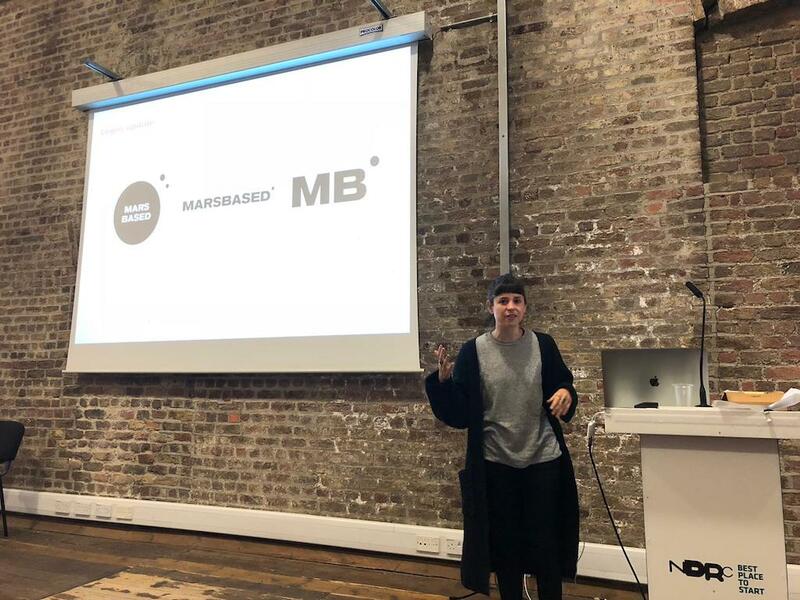 Among others, we started hosting a series of tech events, including Ruby architecture, digital nomading, how to develop in blockchain and other related issues, but eventually decided against continuing them, as we found we were spending too much time organising events. We decided it made more sense to integrate these topics into our monthly edition of Startup Grind Barcelona, and so we did. As a result, we ended up selling out 9 of our 12 editions of our monthly event in 2018. Less is more! The second month of the year brought a new client as well. We had met the Polaroo crew at Websummit 2017 in Lisbon, and agreed to give them a helping hand with frontend development. Their internal team focused on building their PHP-powered backend while we worked on an Angular solution for their front. To this day, we are still working for them, one year after. February 2018 will also be remembered for a life-changing experience we had with Mailtrack. We had been working on small projects for Mailtrack, developing internal tools for them for some months. 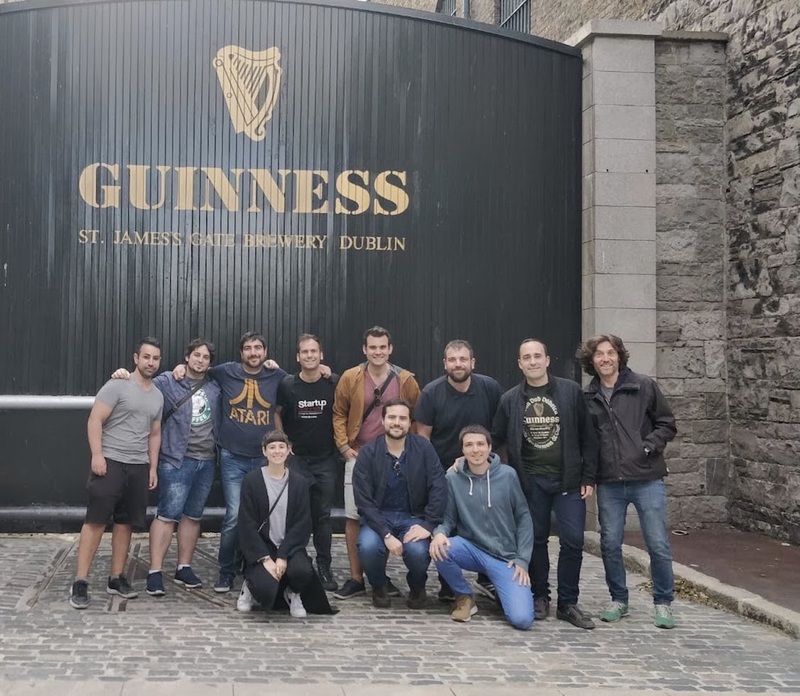 Since they have always been pretty strong in Spain, but had never been to the US with Mailtrack, I pitched them the idea of going there together to do business development and expand our businesses. 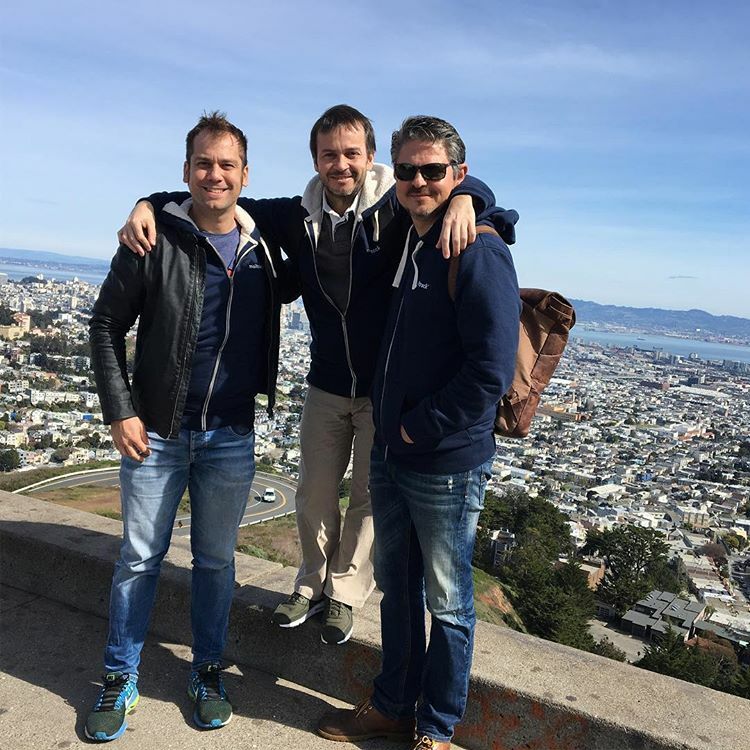 We spent a lovely and crazy week there combing Silicon Valley up and down, looking for clients and establishing long-term relationships with investors, VCs and big players of the industry. This year, we are doing this again with a couple of other Barcelona-based companies. If this sounds like something you want for your startup, kindly let us know through our contact form. 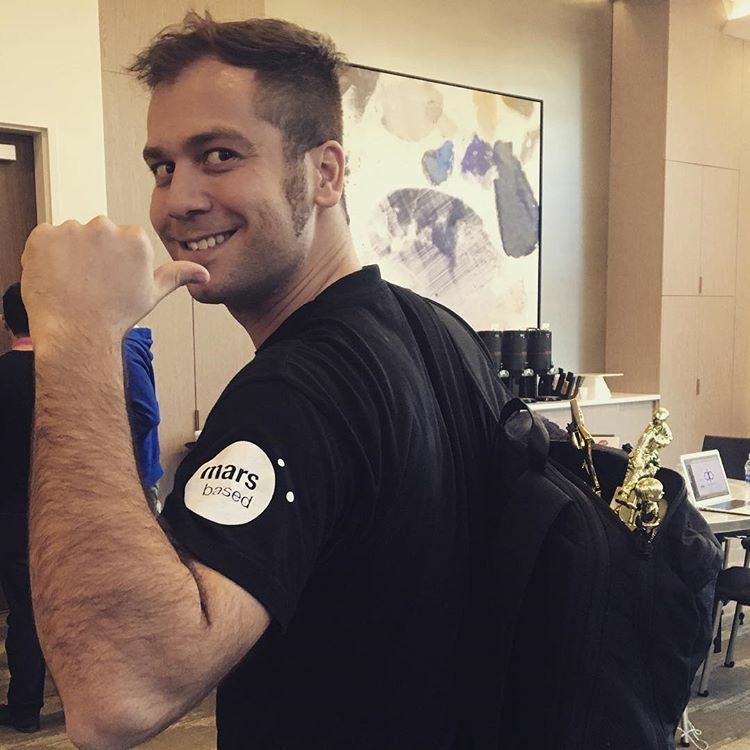 In that same trip, we also attended the annual Startup Grind Global Conference, like we've been doing every year since we attended the 2014 edition. Like every year, our local Startup Grind Barcelona chapter was honoured with some awards: one for pulling our first Startup Grind Barcelona Conference, one for not missing any month (ie: hosting 12 events in 12 months) and one for having completed four years straight without missing any month, ever. Internally, we started a new cool project led by our own Pablo: a drawing challenge. Pablo wanted to sharpen up his drawing skills and challenged us to draw something new every two weeks, following a certain topic every edition. We even participated in the Inktober challenge, where we had to draw something different every day of the month! In March, we turned four years old and we started working for C40 again. This is a project we had worked in previously when they had their team in San Francisco, but it got to a halt for a few months of restructuration. They relocated their tech and product teams to Paris, and we've been working for C40 ever since again. It's one of these projects we could never get tired of working in. We've actually written a success case in our portfolio page. Read what we have built for C40. March also saw Bego, our Office-less Manager, going full-time after proving herself worthy of commanding the wheel of the Martian Spaceship. Definitely, a turning point in the company, and we can't be thankful enough for everything she does! April brought two big news for the company. First of all, a new client: Blueprint, an international SaaS product for business owners to run their companies. We have been complementing their internal development team with ours ever since, and we have even increased our dedication as they've grown their business. 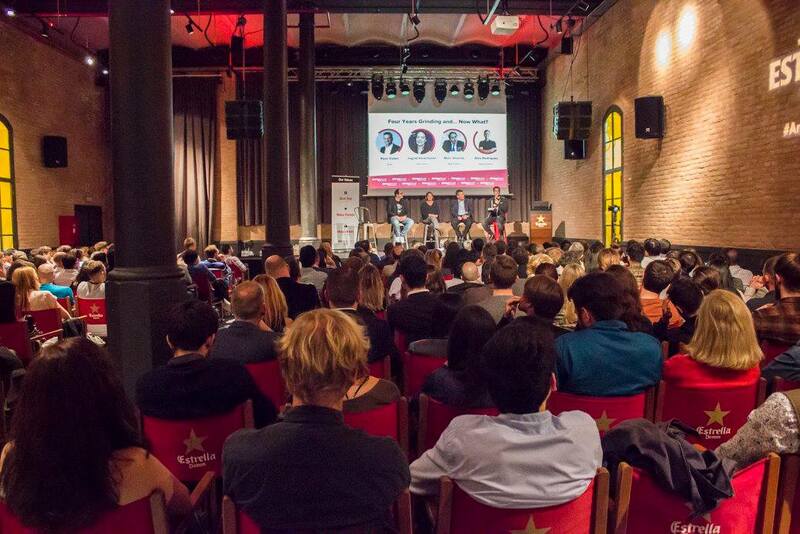 In April, Startup Grind Barcelona turned four as well, and we hosted our annual anniversary event at Antiga Fàbrica Estrella Damm. The event sold out with 400 people, and two kickass panels of previous speakers of our chapter: Helena Torras (B-Wom), David Tomàs (Cyberclick), Ingrid Verschuren (Dow Jones), Pere Vallés (Scytl), Cecilia Tham (Makers Of Barcelona), Marc Vicente (ABA English) and Vincent Rosso (Consentio). It looked this gorgeous! What a full house! New month, new client. In May we wrapped up a few small projects we signed at the beginning of the year, so we could take on a new one. In this case, we began working for Localistico, a UK startup which converts online traffic into offline visits for retail stores. They hired us to speed up the development pace leveraging our expertise in Ruby on Rails. May was also a month with a lot of changes in the company. Some of the processes we changed at the beginning of the year, settled and solidified, so we felt like stepping up our game on other aspects of business. In May, we got a redesign and launched the newsletter to match our status as a company: a solid company, five years old, with a stable team and state-of-the-art technologies and methodologies. Also, in order to appeal to a broader audience, we also translated and launched our website in Spanish. Save for the blog, everything is in Spanish now, and that has brought us a different kind of clients, thus increasing significantly our dealflow and our SEO ranking on Google. 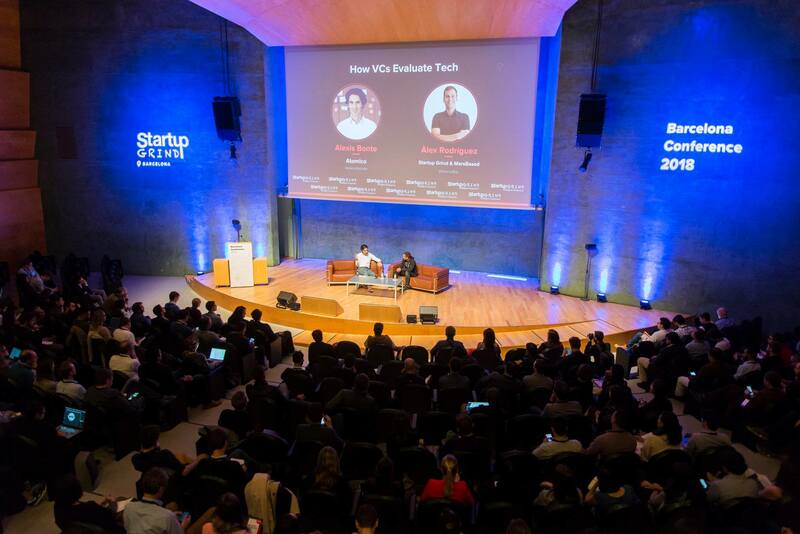 May was an important month for me as well, not only did I become CEO of the company, but we also launched the chapter of Startup Grind Andorra with the former basketball star Ferran Martínez. In June, we embarked into our second company retreat. We spent half a week in lovely Dublin, mixing a bit of work and some cultural activities. As a remote company, we invest a lot of time and money in these activities because we think they're fundamental to bond as a team. We do other activities, but the company retreat allows us to spend several weeks together with the entire team. Throughout the preceding months, we had been working a lot on the company materials, launching the new website in Spanish, the redesign, the newsletter and a general refreshment of all the graphical assets and templates we've got. After years of working on it, we finally decided to publish our Martian Playbook, a place where we explain who we are, what we do, and what can you expect from us, among many other things. Enter the summer, and hence the slow season. Not much to highlight during July, except that we joined Catalonia Logistics cluster. Catalonia Logistics is a business cluster of digital companies operating in the Logistics and Mobility sectors. We had been looking around to find new companies and new networking opportunities. A couple of our clients were already in it, and after some careful inspection and reference-checking, we decided to join them. As a consequence, we started getting prospective clients right off the bat, as we're the only development agency in the cluster, so it's been well worth it so far. Right at the beginning of the summer, after getting new clients for almost six months in a row, we decided to expand the team and we hired a new developer. However, we saw over the summer that he was not a right fit and we had to stop working with him. August was therefore about solving the puzzle of reassigning all the projects. Back to full speed, I spent September travelling around to promote our upcoming Startup Grind Tech Conference 2018, and was interviewed at Startup Grind Chisinau (there's the video) and at the European Startup Festival in Torino, Italy. September was also a great month for us in terms of open source. We released the Rosetta gem. Rosetta is a library for Rails projects which helps you identify the translations being used on your app's pages. The library adds an expandable menu to each page showing all the phrases being used in the page along with additional information, depending on the repository being used. October has sort of become our community month of the year. In October 2015, we launched a Slack for startups & freelancers in Barcelona, and in October 2016 we started curating Startup Digest, the best newsletter for events in your city. Three years after, of our Slack community has grown to over 1500 members now while Startup Digest has got well over 5000 subscribers. You can read more about our Community projects on our Community page. November was the gem of the crown, and quite possibly one of the best months at the company. For the most part, I'd love to highlight the second edition of our annual Startup Grind conference, with over 900 attendees showing up, and international speakers like the co-founder of Shazam or the CMO of Revolut, among many others. Our CTO, Xavi, spoke at the conference in a panel to discuss hiring and management of remote developers. Here's the video of Xavi's panel, with Laura González from Schibsted and Roger Berdayes from Startup Grind Madrid. Client-wise, we signed a deal with Freshis, a company from Barcelona that wants to revolutionise the distribution of eco-friendly food in big cities. Last month of the year! 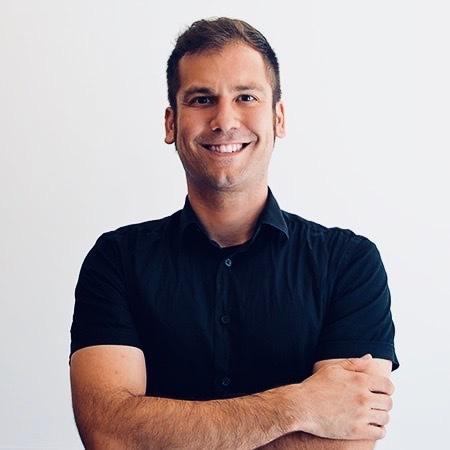 We kicked off December by having our CTO, Xavi, speaking in another event in Barcelona. This time, he participated in FuckUpNights Barcelona, to share a couple of big failures we had as a company, in a relaxed and casual manner. Client-wise, we had a bittersweet end of the year. We first received the bad news of our biggest client. Turns out, they decided to internalise all development and thus got rid of all their providers with little notice, which was far from nice, and most probably a fatal blow for more than a company. Luckily, we've always got some buffered projects and a strong financial position, to be able to endure such blows. Also, only a few days afterwards, we signed a deal to become Startup Genome's new development provider. We are building their new corporate platform, which will be released in early April, and presented publicly by their CEO, JF Gaultier, at our Startup Grind Tech Conference 2019. All in all, it's been a crazy ride, with many highs and just a couple of lows, so we're thankful for all the learnings. In a few weeks, MarsBased will turn five. We look forward to celebrating it and to keep working on the projects we love. What was your 2018 like? Let us know in the comments section below!